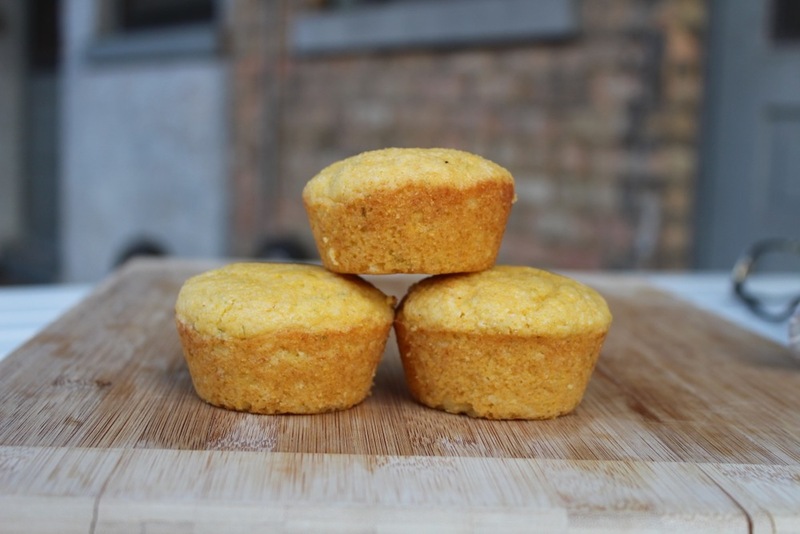 lime cornmeal muffins — Mel bakes things. I'm determined to find a way to put cornmeal in more baked things. It complements a lot of different flavor profiles, and adds some variety to the texture of most things. I put cornmeal in my waffle batter this weekend, and I've made a commitment to never go back to my non-cornmeal ways. Seriously. It's that good. But we're not here to talk about waffles. We'll do that another day. These cornmeal lime muffins are great, but they're even better with a little butter and a drizzle of honey. Okay, real talk...yes, these were delicious. But here's what I would do next time...take out the vanilla, reduce the zest and sugar by about half, add some cheddar, some corn kernels, and some chopped jalapenos. And maybe a little chili powder. They would be off-the-chain delicious. And a really good complement to chili. But if you want something sweeter and lime-ier, you should still try these. Preheat the oven to 400 degrees F. Lightly spray each cup of a standard 12-cup muffin pan with a little bit of nonstick spray. In a medium bowl, whisk the eggs for a few seconds. Add the sour cream, lime juice, zest, and butter and whisk again until combined. In a large bowl, whisk together flour, cornmeal, sugar, salt, salt, and baking powder. Make a well in the middle of the dry ingredients, pour the wet ingredients into the well, and fold the dry into the wet until just mixed. Fill each muffin cup about three quarters full. Tap the bottom of the pan against the counter to level the batter. Bake for 12 to 15 minutes, or until the tops are golden brown and a toothpick inserted in the center comes out clean. Transfer the pan to a wire rack to cool for 10 – 15 minutes. Pop the muffins out while they’re still warm, and serve immediately.